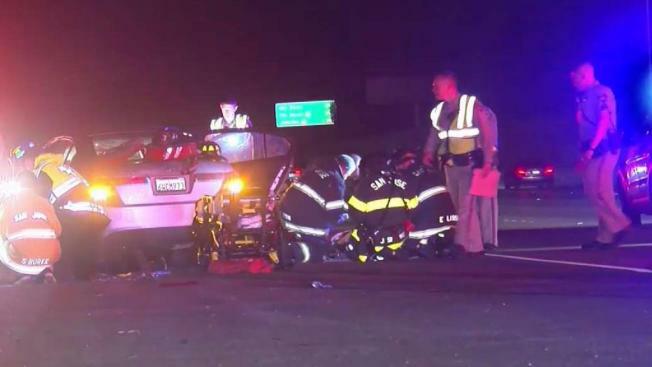 All lanes have reopened on northbound Interstate Highway 280 at McLaughlin Avenue in San Jose Sunday morning following a multi-vehicle traffic collision, according to California Highway Patrol officials. The collision was first reported at 12:21 a.m. and involved at least four vehicles, CHP officials said. At least two people were transported to the hospital with major injuries. A Sig-alert was issued at 12:32 a.m. because three lanes, and then later four lanes, were blocked. At 1:37 a.m. the Sig-alert was canceled and all lanes had reopened, according to CHP officials.